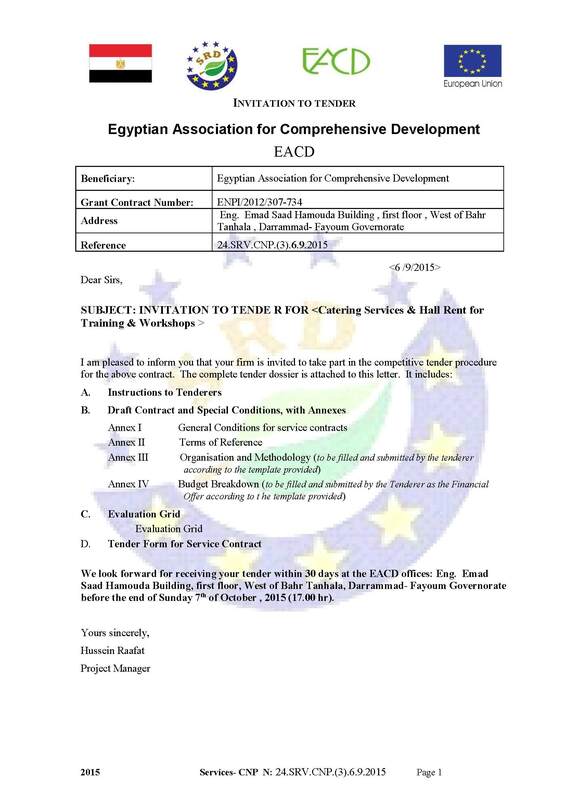 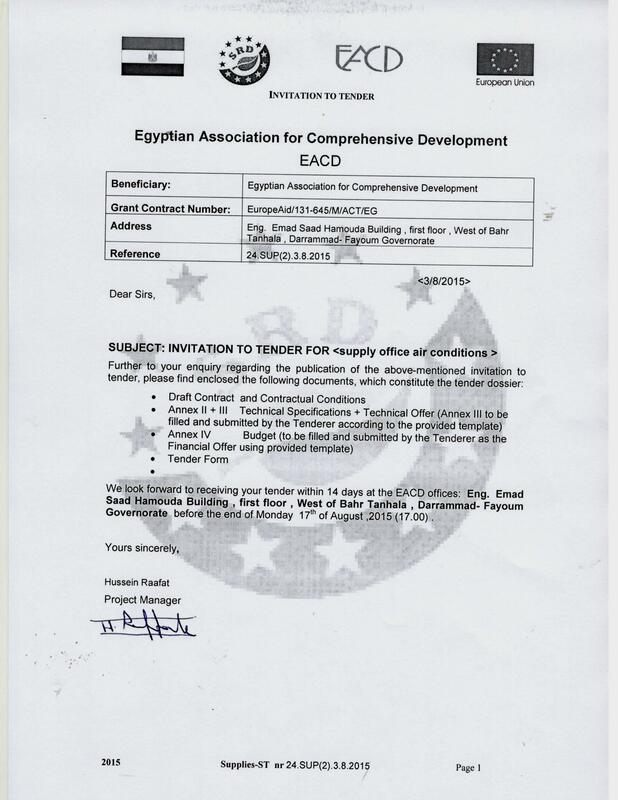 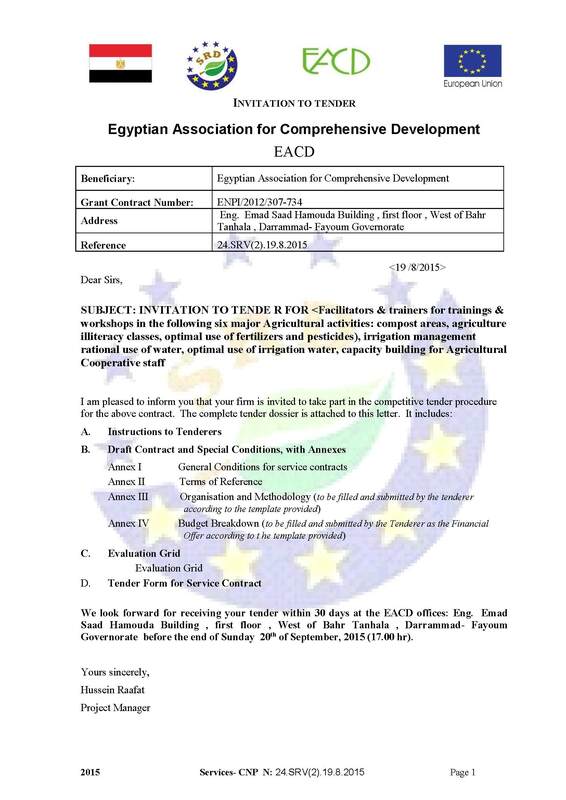 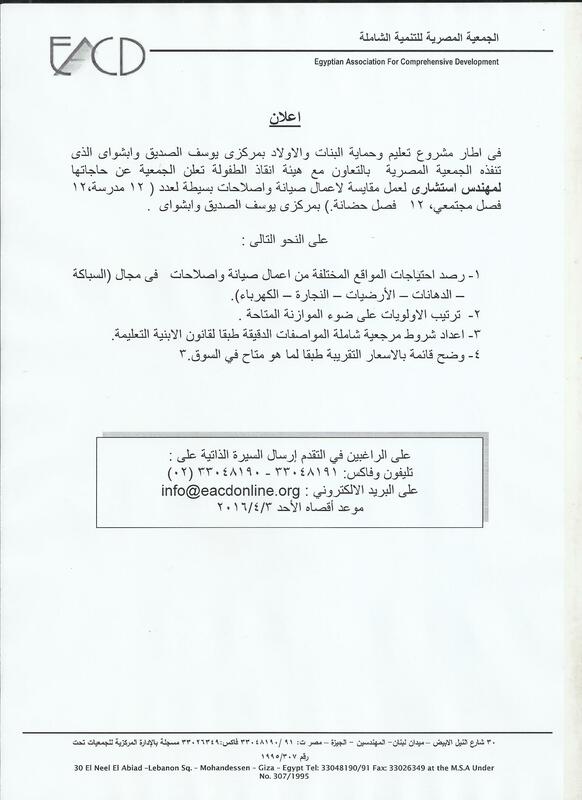 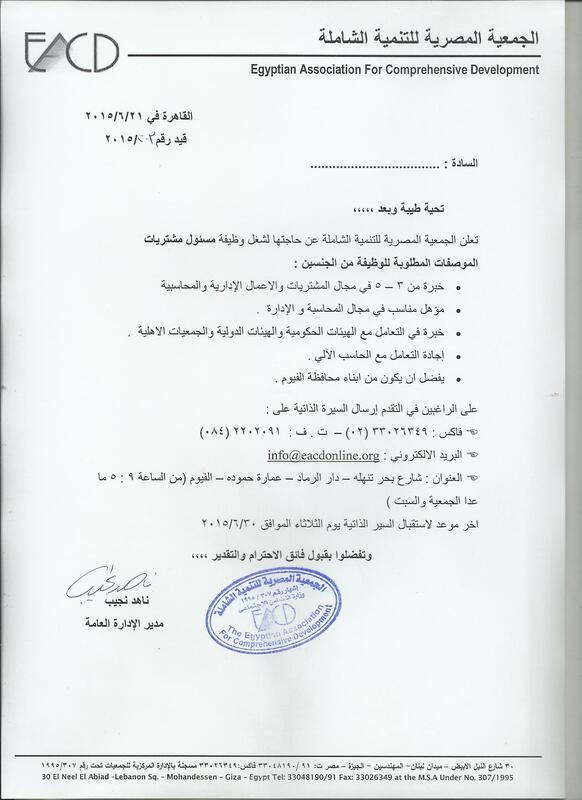 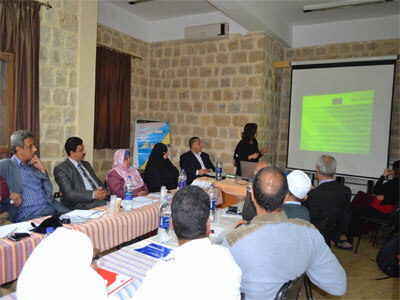 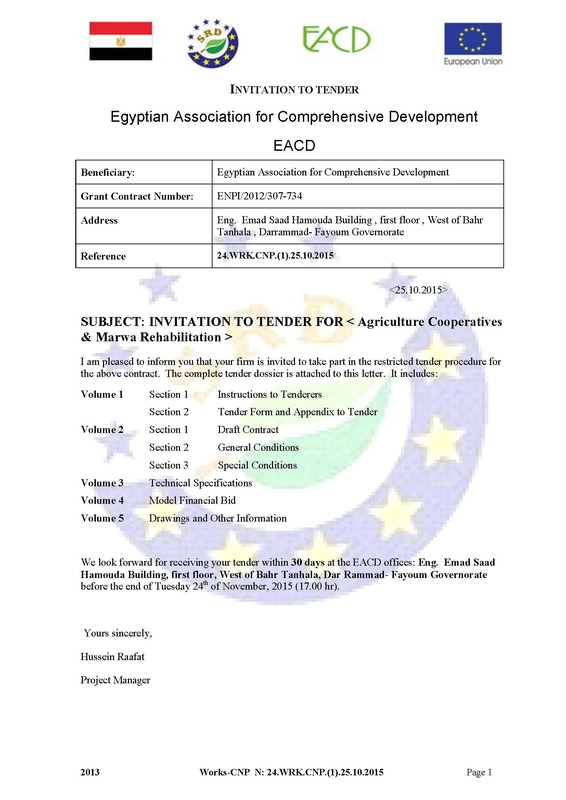 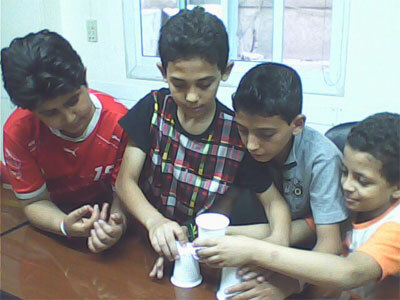 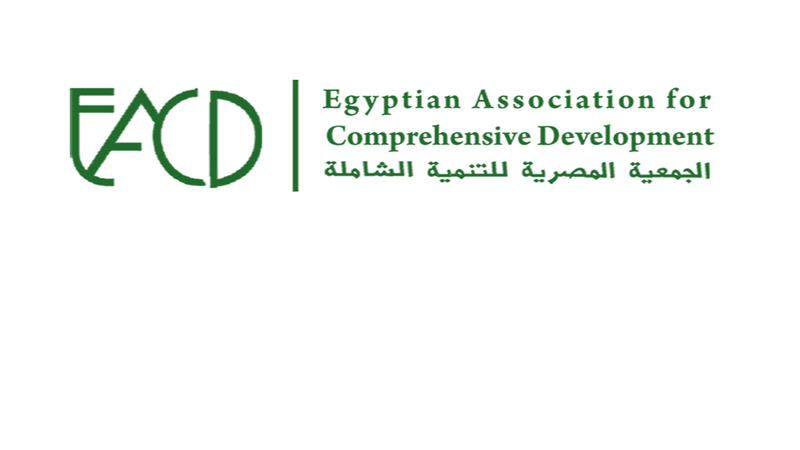 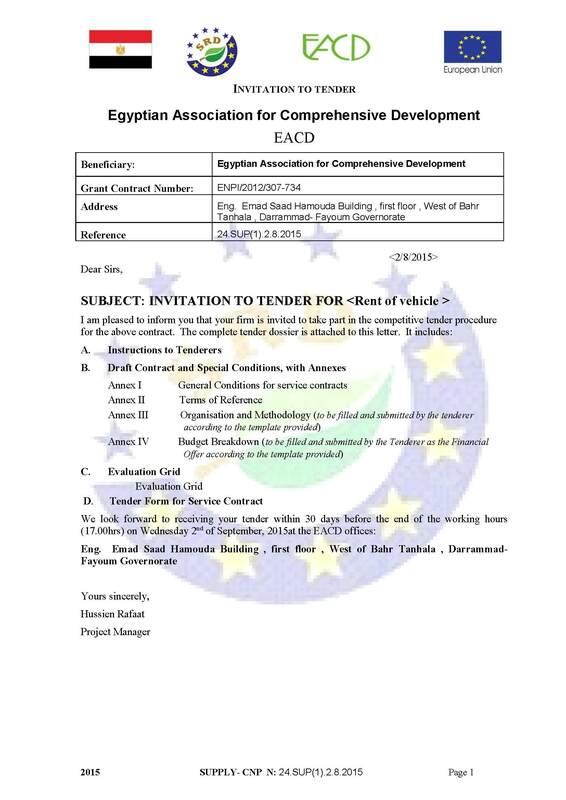 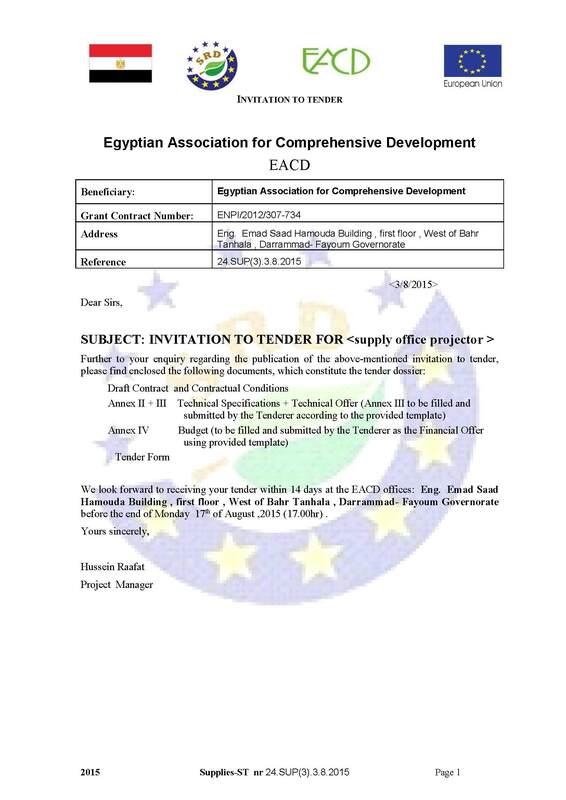 Non Governmental Organization registered under the licence No 307/95 , founded in 1995, EACD believes in a comprehensive development of the Egyptian society. 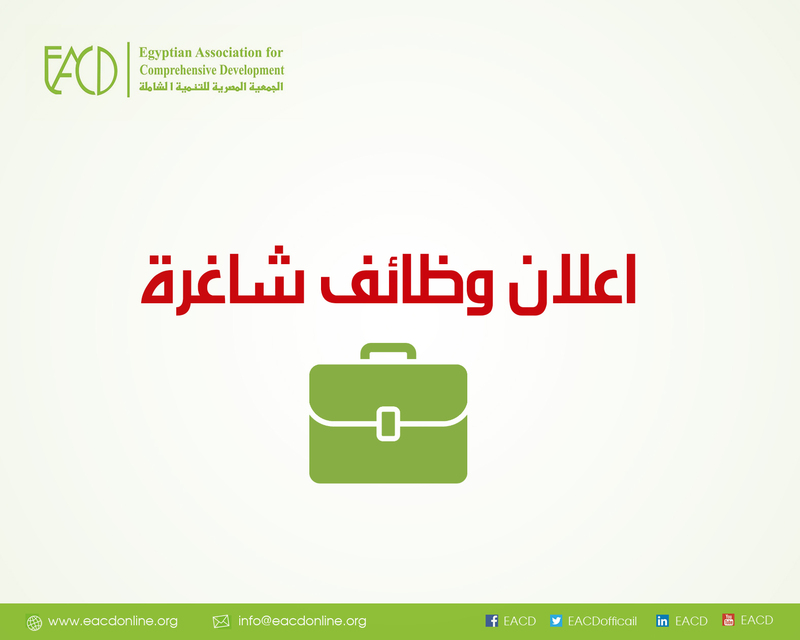 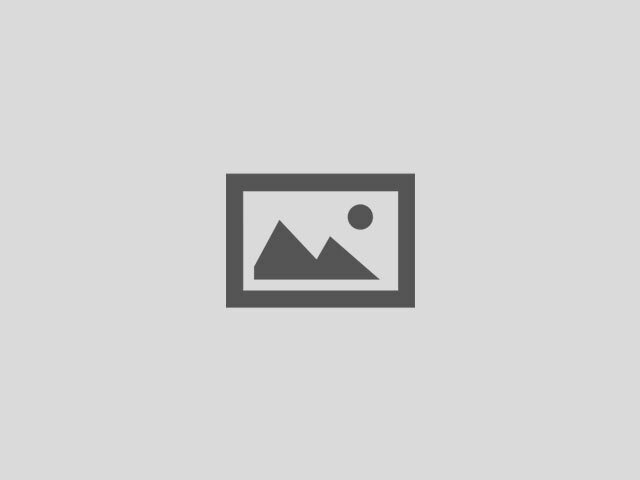 It consists in a more comprehensive approach of using that an association must provide to individuals. 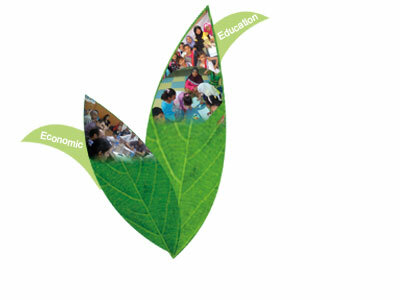 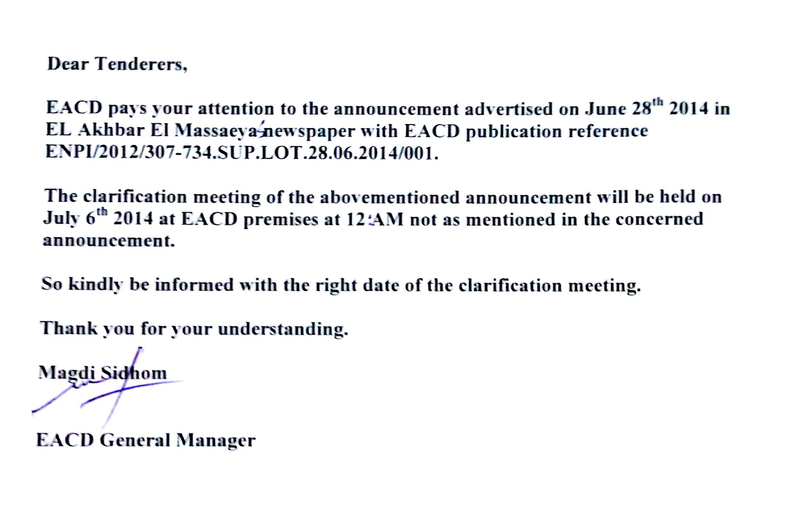 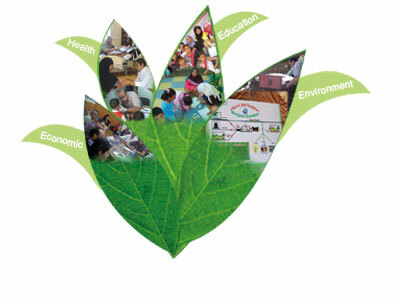 Education, health, economic development and ecology are the pillars of the EACD’s action. 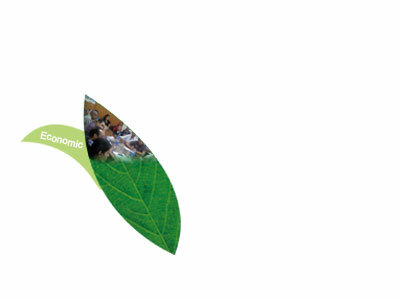 In these fields, EACD tries to enhance the knowledge and possibilities of individuals. 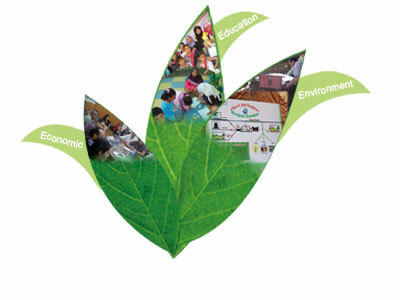 The purpose is to create a stable atmosphere of activity and understanding, necessarily for the social peace. 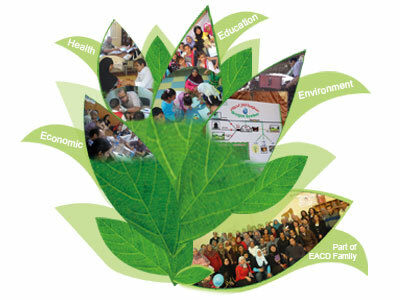 By donations, ideas, involvement or network, you have the means to help us ! 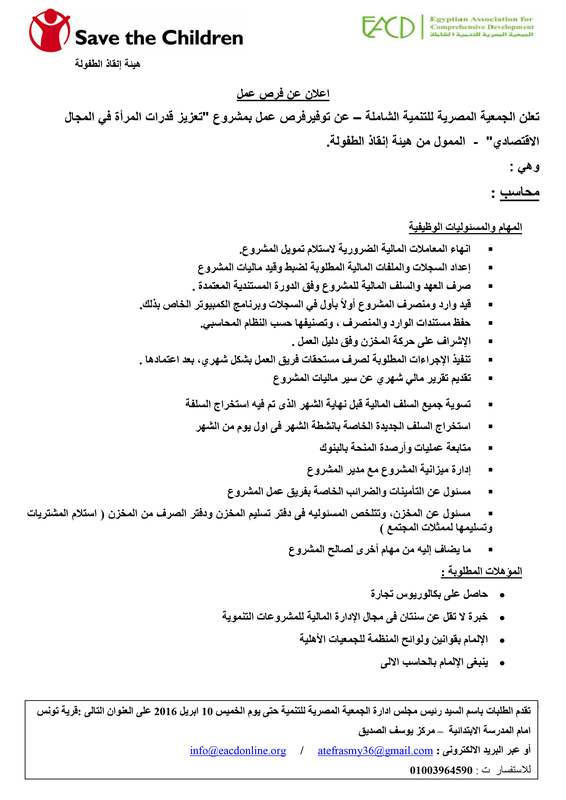 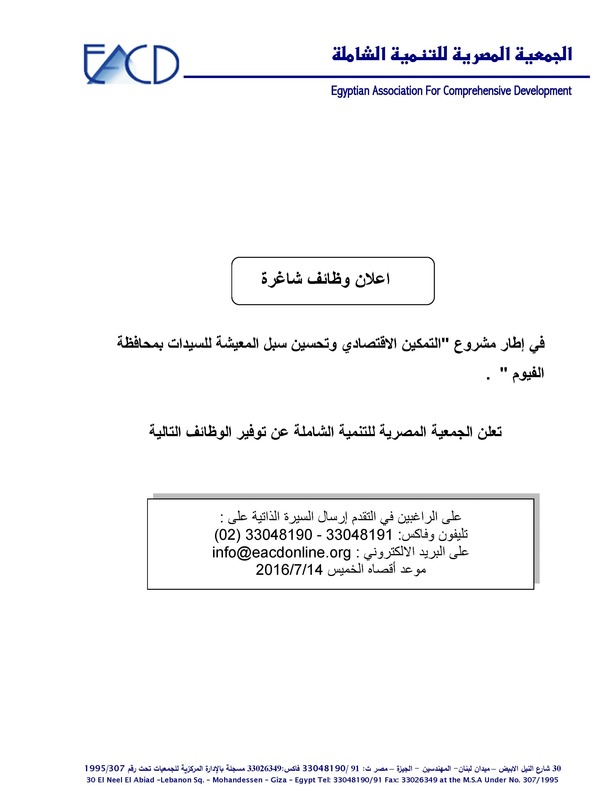 محاسب - مشروع "تعليم وحماية البنات والاولاد بمحافظة الفيوم"
دعوة مشاركة لعطاء توريد " خامات ، أدوات ووسائل تعليمية و مكتبية "